Attention sun worshipers. Catch some rays poolside or on the boat dock. This Florida style ranch home comes sits on over 1/4 acre lot on deep water with 3 mile views across Broad Bay. Situated on a protected cove of Bay Island in Virginia Beach ….. the stunning backyard includes an large trek like composite deck, pool and hot tub with plenty of room for summer entertaining. 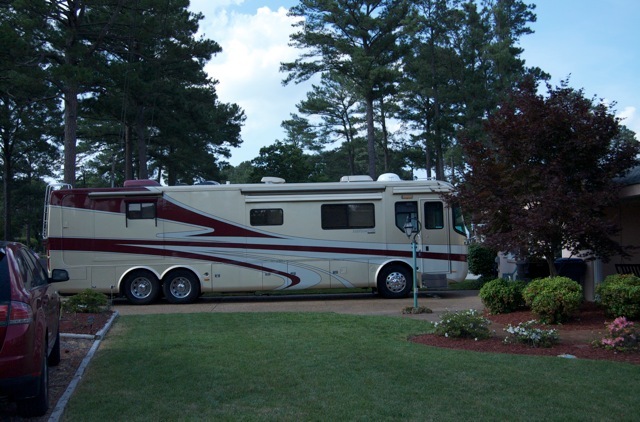 Travel back and forth to Florida by boat or with your RV …. the drive way was specifically built to handle your Bus like RV; with plenty of room for cars. The home is well designed for those wanting a summer home on the Bay in Virginia and the easy care of closing down for winter and heading to southern Florida.This 3 bedroom 1.5 bath home has been fully updated and meticulously maintained. It boasts a casual living room with gas log fireplace … opening to the dinning room that has a view of the water. The kitchen has been updated and has plenty of room for cooking and casual everyday eat-in space. Sit and watch the boat traffic go by from the attached sunroom … or take your morning coffee out on to the pool deck or down to the picnic table by the docks. Plenty of space in this home for your summer time guests too. They will enjoy the pool, hot tub or relaxing in the back yard. 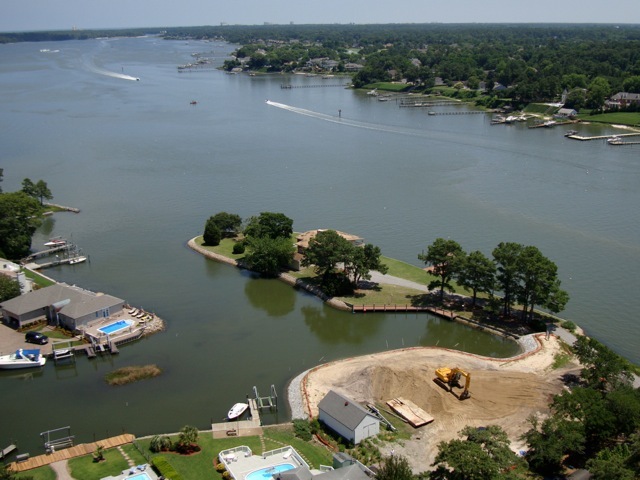 The resort beach of Virginia Beach is just a short 10 minute drive away ….. or take a 10 minute boat ride out into the Chesapeake bay and pull up on the sand Bay beaches. 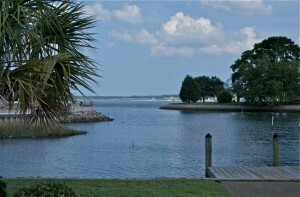 First Landing State Park is within walking distance too. Take a leisurely boat ride around the cove the your favorite dining spot such as Dockside Cafe, Chic’s Bar or grab a drink and crab cake on the docks at Bubba’s. They all deliver to your boat, or step aboard to their boat dock decks for a fabulous sunset view. For more formal/casual land-side dinning experiences La Marinella Trattoria is just 5 minutes away as well as One Fish Two Fish and Lynnhaven Fish House to name a few. 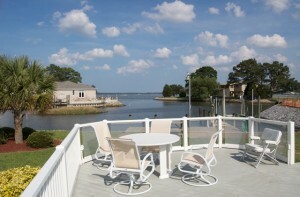 This home is well suited to “Living the Coastal Lifestyle”. Whether you are a Snow Bird or just looking for the casual water front living that Bay Island has to offer … come home to 2008 Absalom Dr. on Virginia Beach’s Bay Island … water front living at it’s finest.